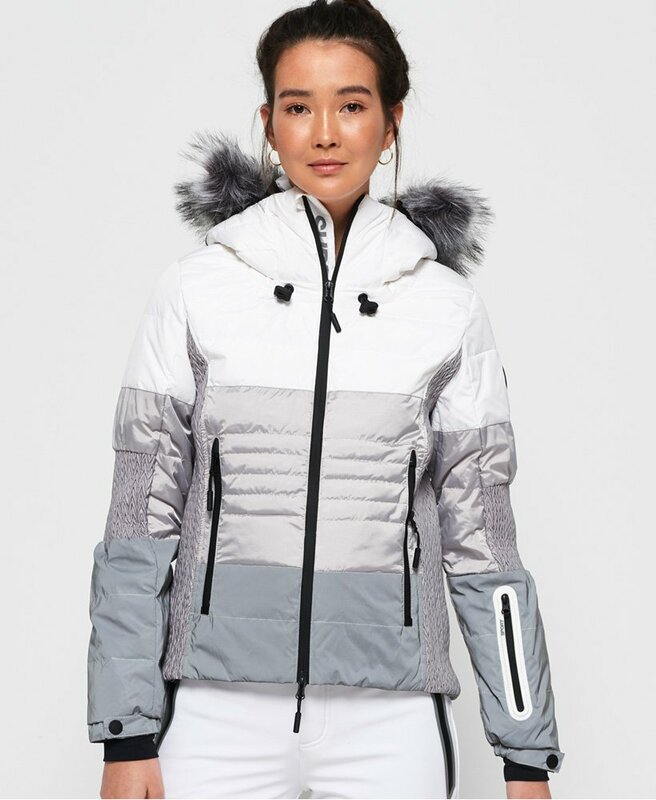 Superdry women's Snow Cat Ski Down jacket. Be stylish on the slopes in the Snow Cat Ski Down jacket, featuring a 90/10 premium duck down filling with very high fill power rating for ultimate comfort, a single layer zip fastening and detachable faux fur trim on the hood, which can cleverly concealed when not in use. This jacket also features two zip fastened front pockets, a ski pass holder on one sleeve and one inside pocket for added practicality. The Snow Cat Ski Down jacket has also been designed with wrist gaiters and a snow skirt help to keep the snow out, meaning you can stay warm and comfortable as you ski. The jacket is completed with a Superdry Snow badge on one sleeve.